Endurance Barre is our signature cardio barre class. This ballet inspired class incorporates choreographed moves from Pilates, yoga, dance, and functional training to motivating music. We combine the classic movements of barre such as tucking and pulsing, as well as cardio elements into each track ultimately sculpting your whole body and getting your heart rate up to fat-burning zone. TRX Barre is a barre class using the TRX suspension training system elevating your traditional barre workout. 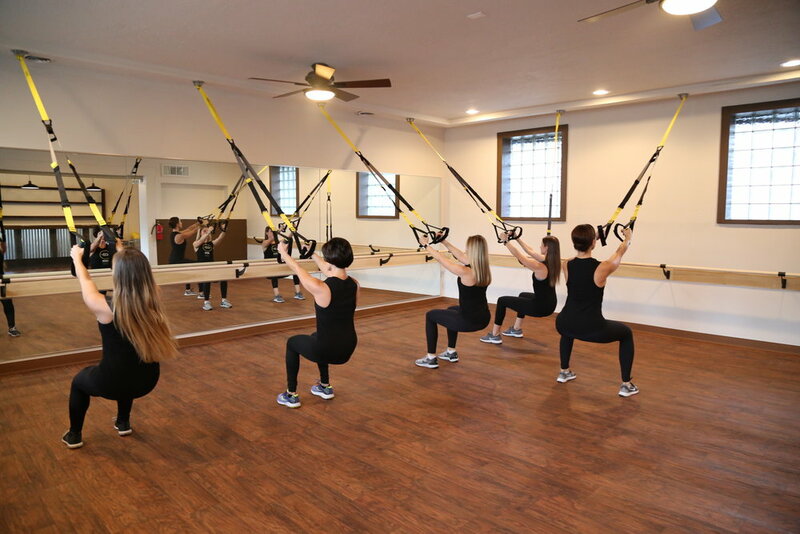 This class combines classic barre movements with the use of TRX suspension system allowing your body to be the machine and increase the overall muscle burn. Pilates Sculpt lengthens and tones your body. This class borrows from multiple fitness modalities including dance, yoga, and classic calisthenics to stretch and tone your body. You’ll work all muscles groups through the use of weights and resistance equipment. In this class we’ll take your Pilates practice to the next level and you’ll leave feeling ready to take on life!